Who would have guessed? A compact region of Indiana’s Cool North that draws thousands of visitors each year to experience Amish culture or relax at lakeside resorts holds a surprising secret – professional theater performances and concerts that definitely rank as showstoppers. Amish Country offers loads of daytime activities before you settle in for stirring, scintillating and often foot-stomping performances at three top-notch theaters. We’re including lodging and dining options close to the theaters, but be assured….these performance venues are an easy drive from just about any place in the region where you might be spending your weekend. The steady clop of horses’ hooves pulling Amish buggies seems like an invitation to slow down and enjoy the pleasures of small communities deep in the heart of a region that’s home to the second largest Amish population in the nation. It’s also home to a theater that spotlights professional performances year-round. Shop in Shipshewana and Middlebury: This community of Shipshewana has more than 100 shops filled with Amish-made goods. You’ll find fine furniture and clocks, noodles and breads and more. Just 10 miles away, the tiny town of Middlebury is home to the Essenhaus Village Shops, six specialty gift shops filled with quilts, handbags, books, and other treasures (It’s part of the Das Essenhaus complex with an inn and restaurant – see below). Visit Menno-Hof: Amish-Mennonite Information Center, Shipshewana: Your visit to the area may make you curious about the Amish-Mennonite culture that thrives here. Travel through the centuries at this center to learn all about the group’s unique history. Blue Gate Theatre and Shipshewana Event Center: You’ve come for great entertainment, and this state-of-the-art complex delivers. It includes the intimate Blue Gate Theatre, which adjoins with the Blue Gate Restaurant, the classy Blue Gate Garden Inn, and the Shipshewana Event Center for larger concerts, both nearby. Music abounds in both theatrical performances and concerts by top entertainers. A look at the 2018 schedule includes everything from Larry Gatlin and the Gatlin Brothers to Sandi Patti to an Everly Brothers tribute at the Event Center. In addition, a host of country, rock, gospel, and oldies groups, plus comedians will take the Blue Gate stage. Theatergoers have come to love the professional performers who bring wonderful, moving stories about Amish life to the Blue Gate Theatre during stirring musicals. This year’s mix includes the zany Half-Stitched, the Musical, about an Amish widow who teaches a quilting class filled with crazy characters, and the theater’s newest full-length musical. Stolen, a unique mystery full of intrigue and humor that takes place in an Amish community. .The Christmas season will bring a new fun and heartwarming musical, Christmas in Paradise. The Blue Gate also offers a variety of packages that include dinner, lodging and theater, and add-ons such as Amish buggy rides and gift baskets in your room (see below). The theatrical performances often feature afternoon shows, so it’s possible to see a musical in the afternoon and a concert at night. Blue Gate Garden Inn, Shipshewana: Spend the night at this upscale hotel with Amish embellishments right next to the Blue Gate Theatre. Enjoy the pool, hot tub, ice cream shop and a complimentary hot breakfast. Packages that include theater, dinner and more are available. Essenhaus Inn and Conference Center, Middlebury: Lovely Amish decor surrounds guests throughout this 89-room hotel, part of a complex that includes shops and a restaurant. The hotel features a pool, therapeutic hot tub, and a bountiful complimentary breakfast complete with Amish favorites. Blue Gate Restaurant & Bakery, Shipshewana: Settle in for from-scratch Amish favorites such as fried chicken and ham. The breakfasts are phenomenal. Das Dutchman Essenhaus, Middlebury: Don’t be surprised if an Amish family sits down at the next table. That’s how great the food is at this huge restaurant! You’ll find everything from Amish roast beef and noodles to Indiana favorites such as breaded pork tenderloin. Don’t skip the scrumptious pies! The drive is freewheeling, easy, green and serene as you head toward your next theater rendezvous in Nappanee, home of summer theater in a historic barn. Amish “shingle shops” entice you to stop along the way. These small stores on proud Amish farmsteads are distinguished by a sign or “shingle” announcing that authentic quilts, woodenwares and baked goods are for sale. The community of Goshen is a shopper’s haven that’s a must-stop on your journey. 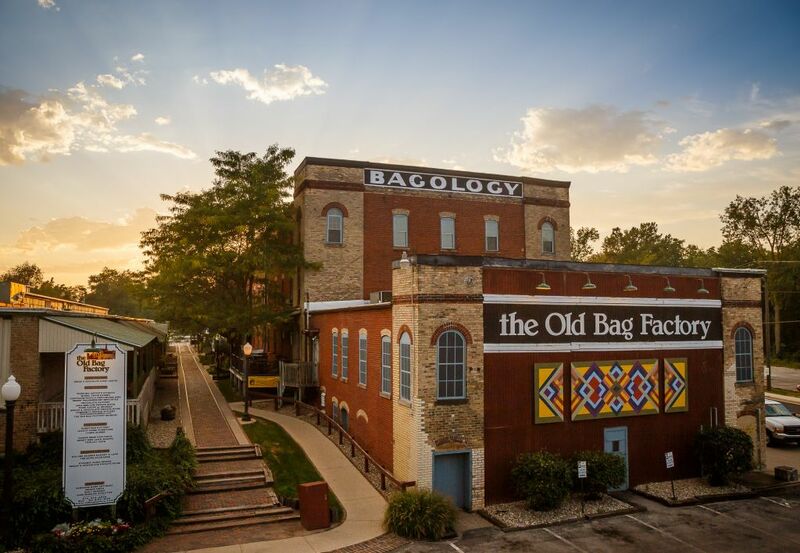 The Old Bag Factory, Goshen: Yes, they actually did make bags here! But that was back in the 1800s, and this historic brick building eventually was all but a heap of ruins. But not today! The refurbished masterpiece is filled with one-of-a-kind shops that feature handmade pottery, jewelry and other artistic creations. Amish Acres, Nappanee: You’ve arrived at the destination for tonight’s show, but there’s so much to see and do before you take your seat! Films explain the Amish way of life at this living history center, the only Olde Order Amish Farmstead listed on The National Register of Historic Places. Guided tours through the homestead and farm and a wagon ride around some of the 80 acres put you in touch with times gone by. Round Barn Theatre: The Round Barn Theatre is Northern Indiana’s only professional repertory theater company, making it the perfect place to present the classics of musical theater that never go out of style. Actors audition from across the country, live in cast housing on Amish Acres property, and perform in up to nine shows per week. The theater itself has a remarkable story. Originally built in 1911 on a nearby farmstead, the barn was donated to Amish Acres, dismantled, and moved to its current location. The state-of-the-art, 375-seat theater boasts an original self-supporting dome and graceful cupola. This lineup for 2019 includes Anne of Green Gables, Freaky Friday and Beauty and the Beast, and more. Don’t miss a chance to see Plain and Fancy, a much-loved Round Barn musical that tells the Amish story beautifully. 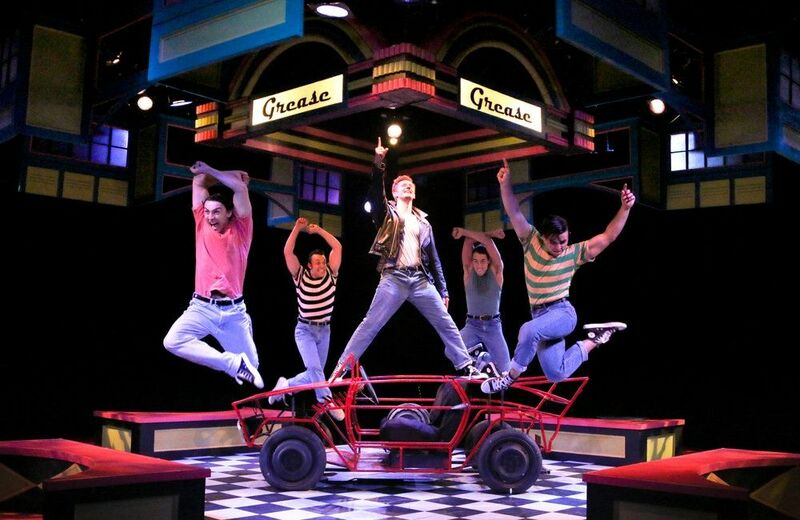 More than 300,000 theatergoers have seen this delightful show at more than 3,000 performances here. Felix New York Style Restaurant, Goshen: If you stopped to shop or just got on the road early, you’ll love the breakfasts and lunches at this cozy restaurant located inside the Old Bag Factory. Restaurant Barn at Amish Acres, Nappanee: Dine under soaring hand-hewn timbers on down-home Amish favorites. Everyone loves the nationally famous Threshers Dinner, a bountiful family-style feast reminiscent of the hearty fare Amish women cooked to feed the men who harvested the grain. The Inn at Amish Acres, Nappanee: The rocking chairs on the front porch of this 62-room inn make it seem right at home at Amish Acres. Packages that include theater, attractions and a buggy ride are available.